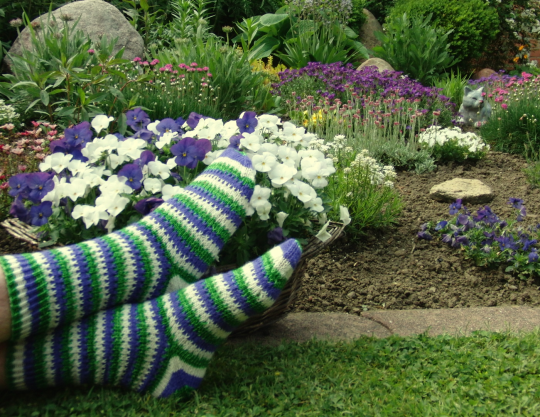 Garden Stripes - monemades Webseite! As always around this time of the year there's so much to do - work gets more in my 'normal' job plus plenty of stuff to do around the house - so there isn't much to share these days. 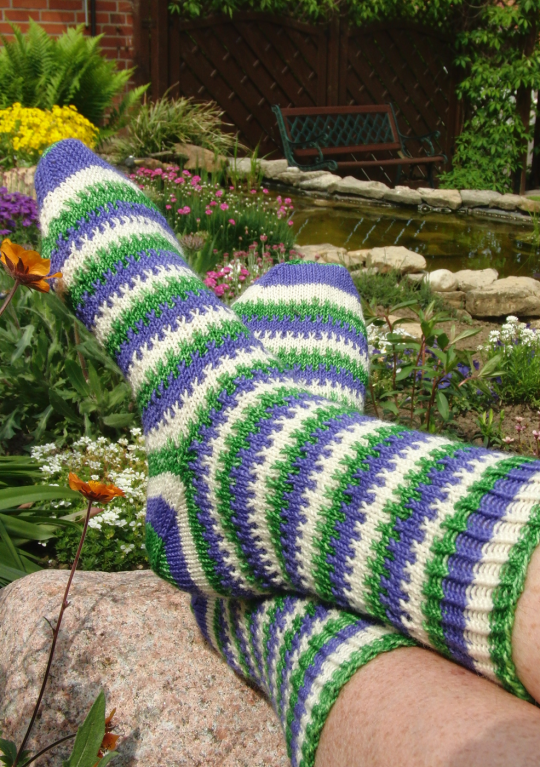 But I did finish one pair of socks for our Stripemania Challenge... and apparently I picked the one to finish first that goes best with our garden at the moment, don't you think? I am usually not a fan of afterthought heels, but to not interrupt the stripes I chose to go with one and I think I found the version that fits best when you have a high instep. Got to try it more often. And because I said there is lots to do around the house: Views like this make me remember why I enjoy living in the countryside with lots of land to take care of. 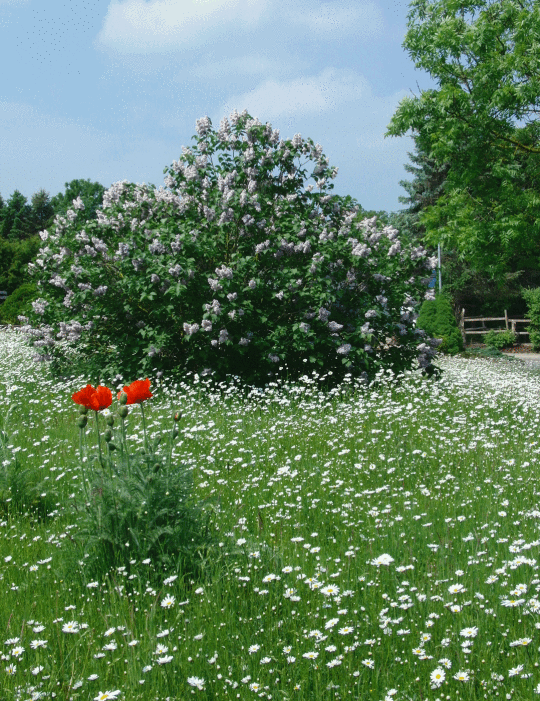 Have a fantastic weekend, whatever you are up to.